Cannon Green, a gathering common will be Charleston’s newest premier venue for celebrated occasions. We were excited to do the branding for this unique new venue. Through out the branding process, we were inspired by the indoor/outdoor spaces the building will have to offer as well as the Cannonborough neighborhood itself. 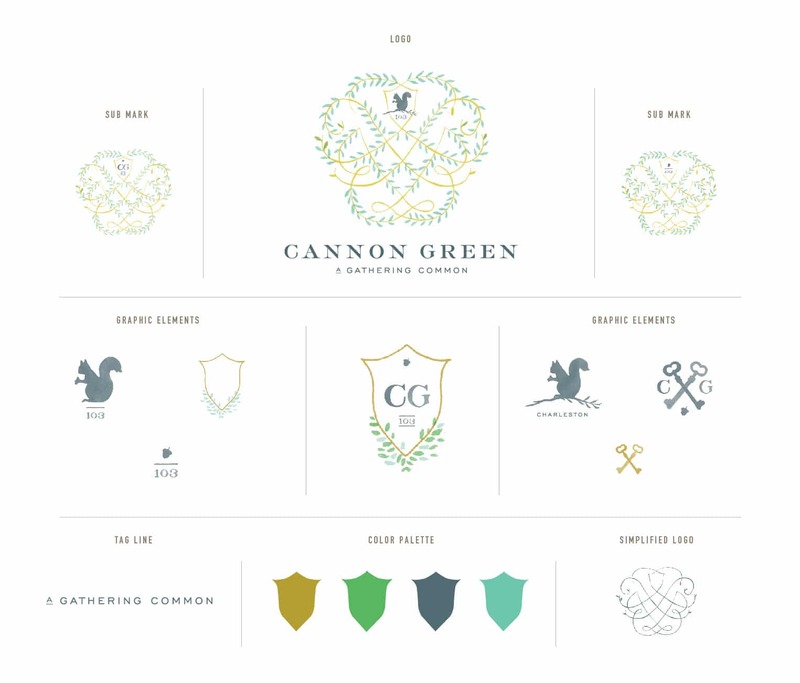 Cannon Green will be a sophisticated urban concept with the classic elegance of the South. The hand illustrated watercolor coupled with the classic shape and composition of the logo embodies the concept and achieves the balance of something new and different while still being rooted in southern tradition. Beautiful work, as always. What is the “CG” font? Atascocita Tx! Just wanted to mention keep up the excellent job!